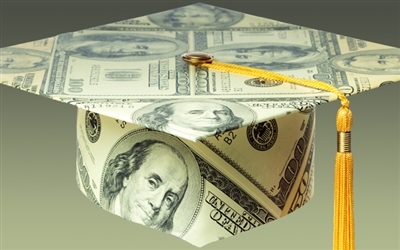 NASHVILLE, Tenn. -- New findings from the United Methodist-affiliated Seminary Indebtedness Task Force reveal that the average educational debt for United Methodist seminary graduates has reached $49,303. “Based on median annual conference compensation for new clergy, we now know that many of our clergy are well beyond the nationally recognized critical level (10 percent of income) for manageable debt,” said Allyson Collinsworth, executive director of the Office of Loans and Scholarships at the General Board of Higher Education & Ministry (GBHEM), which appointed the task force. The figure for average student debt is calculated by combining the average Master of Divinity program debt for United Methodist students, $35,761, and the average undergraduate or prior-to-seminary debt of $13,542. The figures were taken from data supplied by 13 United Methodist theological schools. “Currently in the U.S., college students have a trillion dollars of educational debt. The task force is bringing our institutions and annual conferences together to look at this issue, which is affecting our clergy and their families,” Collinsworth said. Locally, the Florida Conference received a $50,000 grant this year through the United Methodist Young Clergy Initiative to develop an educational program aimed at debt reduction for clergy members. The program is expected to start in December. Based on information compiled in July, active, full-time provisional elders and deacons with one year or less of service in the church earn a median total annual compensation -- salary plus housing allowance or parsonage amount -- of $49,742, according to data analyses collected from the General Board of Pensions and Health Benefits. This includes a median annual base salary of $38,000. "Seminary debt is keeping young, innovative clergy from being able to take risks in their ministry -- the very same risks, in fact, that a 21st century church needs to be making," said Tyler Sit, recent seminary graduate and church planting resident at Urban Village Church in Chicago. New calculations estimate the critical level of student debt for United Methodist new full-time clergy to be around $35,500. This figure assumes earning the median annual compensation for new clergy, putting the FinAid-recommended 10 percent of gross monthly income toward student debt and the ability to repay the debt in a 10-year standard plan at a 6.8 percent interest rate. “Using data supplied by seminaries, we have painted a clearer picture of the debt facing our clergy and seminarian students. Now we need to create discussion, cooperation and resourcing among the levels of the church that can combat this problem,” Collinsworth said. "Seminary debt is keeping young, innovative clergy from being able to take risks in their ministry -- the very same risks, in fact, that a 21st century church needs to be making." GBHEM staff and task force members shared the current calculations at a recent joint meeting of seminary financial aid directors, project managers for Lilly Endowment grants, two seminary presidents and boards of ordained ministry (BOM) staff from 18 annual conferences. Seven United Methodist seminaries were among 67 across the U.S. that received money from the Lilly Endowment as a part of its initiative to address economic issues facing future ministers. Root causes discussed by the group included the financial realities of the cost of seminary, loan availability and access, lack of financial literacy, process and timing for students to identify themselves as candidates for ordination and additional pre-seminary debt. Solutions brainstormed at the meeting included creating a financial literacy element in the group candidacy or vocational discernment process to provide information on funding resources as part of the group study. This, however, would be aimed at declared candidates on track to be certified and would help only those who identified their call to ministry early. Other ideas included a greater emphasis at seminaries on financial training/counseling about debt limits and fiscal realities. Annual conferences could partner with seminaries to contact prospective students and include education about regional funding in the recruitment process. Others wanted more support from the district committee level in the discernment process, moving a conversation about the reasonable maximum debt for clergy into a local context. Legislation approved at General Conference 2012 recommended that GBHEM form a task force to address financial assistance and seminary debt for certified candidates for ordained ministry. The Seminary Indebtedness Task Force is a subset of the GBHEM Young Clergy Initiative. Seminary representatives at the meeting expressed need to receive Ministerial Education Fund checks at the schools before students pay tuition bills, which would avoid odd short-term borrowing, and a hope to be involved earlier in the ordination process via candidacy retreats or discernment spaces. Annual conference BOM staff members spoke of the need to streamline data collection and identify persons from their conference who are actively enrolled in a seminary. The Seminary Indebtedness Task will give a final report to the Council of Bishops and the Connectional Table in 2015 and to the 2016 General Conference. Nov. 5-7, National Association of United Methodist Foundations, Asheville, N.C.
Nov. 19-21, Consultation on Theological Education, hosted by GBHEM, in San Diego. Dec.4, GBHEM and Wesley Theological Seminary in Washington, D.C., will facilitate a joint conversation with four annual conferences (Baltimore Washington, Pennsylvania Delaware, Susquehanna and Virginia) on clergy debt and, specifically, how seminaries and annual conferences can work together for the students they share. Contact Allyson Collinsworth for more information about the Seminary Indebtedness Task Force. -- Nicole Burdakin is an editorial and production assistant, Office of Interpretation, General Board of Higher Education and Ministry. Susan Green, Florida Conference Connection managing editor, contributed to this story.